Lately I have noticed my wisteria plant getting a bit of a Swiss cheese look to it. 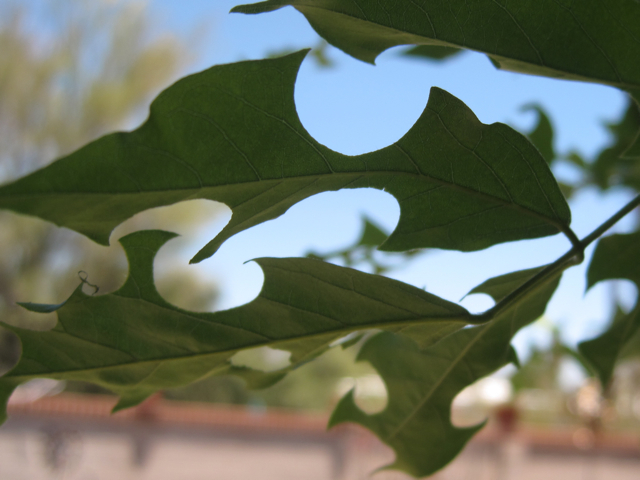 The new leaves are utterly filled with holes. I have been watching these to see where the holes are coming from. 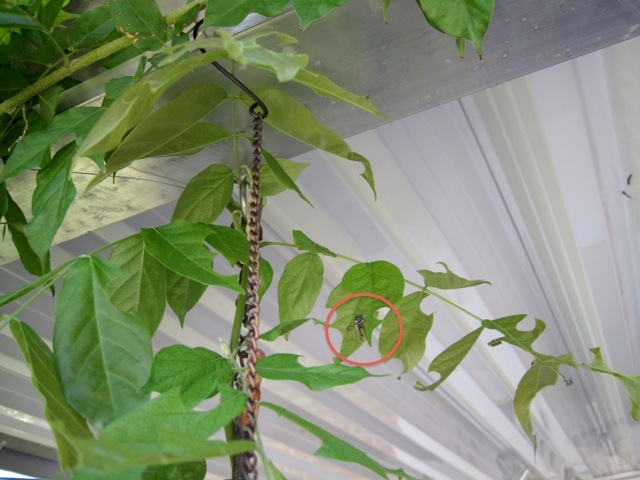 Aha there in the red circle… leaf-cutter bee. 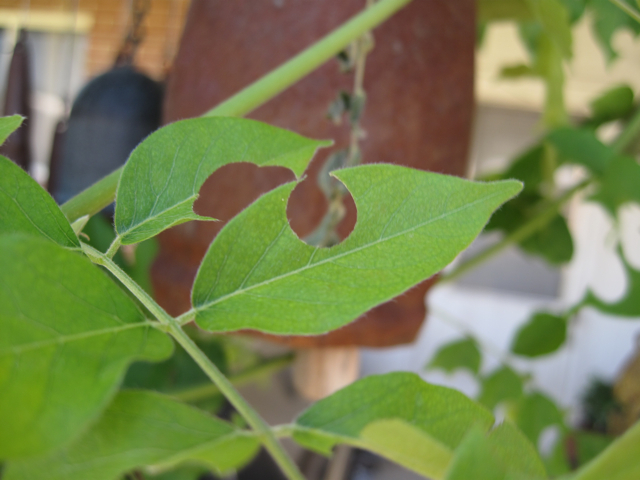 These bees use the leaves they cut to make little nest cells for their young. The cut piece of leaf is formed into a nursery chamber where the female lays an egg and adds some nectar and pollen for the young. These little bees are beneficial and essential pollinators. So even though they are cutting little holes in my plants I guess it is the price I will pay to have them also pollinate the garden. Leaf-cutter bees are quite amazing to watch. Sometimes they cut almost perfect round holes and they are darn fast too. ~ by Meg on June 13, 2015.